The book constitutes selected high quality papers presented in International Conference on Computing, Power and Communication Technologies 2018 (GUCON 2018) organised by Galgotias University, India, in September 2018. It discusses issues in electrical, computer and electronics engineering and technologies. 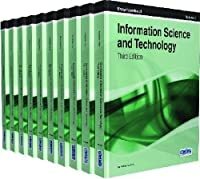 The selected papers are organised into three sections - cloud computing and computer networks; data mining and big data analysis; and bioinformatics and machine learning. In-depth discussions on various issues under these topics provides an interesting compilation for researchers, engineers, and students.